It all started with a horse named Katie Sue. 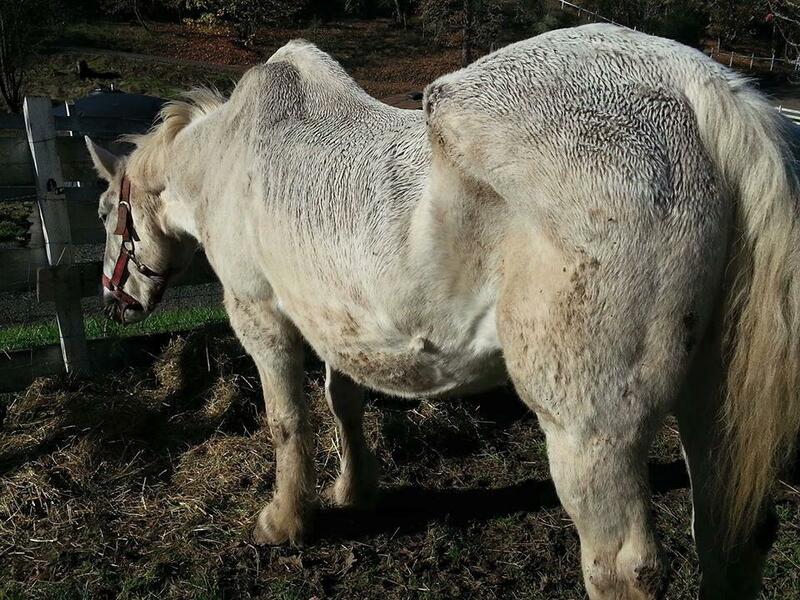 She was a badly neglected Percheron mare that had been posted for free on Craigslist, a popular marketplace for kill buyers. When co-founder Jane Kelly saw Katie Sue's listing and pictures of the mare with her ribs exposed and spine jutting out, she knew she needed to intervene before the horse met a perilous end. Jane contacted the owner of the horse who surrendered not only Katie Sue, but three additional horses, too. At the time, the Kelly's were still one month away from closing on their property that would become the site of today's rescue operation, so Katie Sue and the others were boarded at a facility in town. 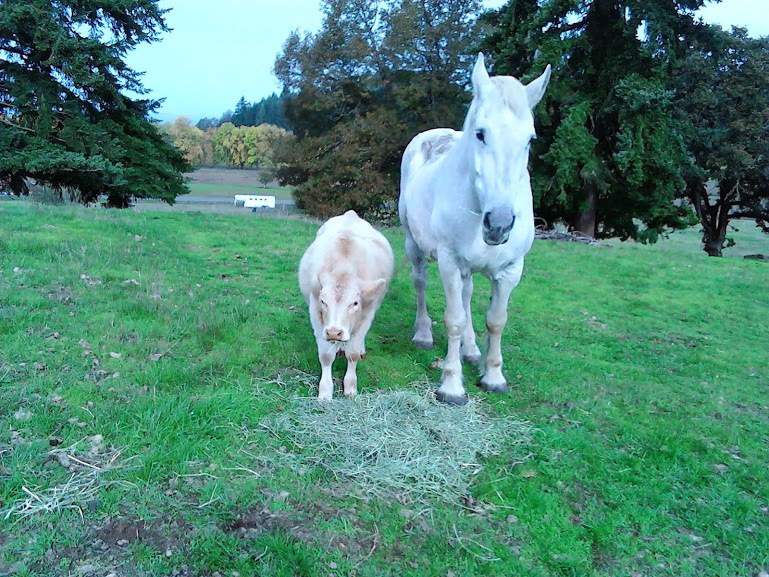 Eventually, they brought the horses home and started what has now become the thriving 30-horse sanctuary of Oregon Horse Rescue. Though Katie Sue is no longer with us, she will always have a special place at the rescue. Rescuing Katie Sue opened up the doors for more than 100 horses who have come to Oregon Horse Rescue over the years seeking shelter and sanctuary, rehabilitation, or just a soft spot to land. While we know that our impact on these horses and our community isn’t always visible, the photos below show some of their remarkable transformations as these resilient and strong animals gained weight, were treated for medical conditions, or learned to trust again. Please be warned: some images have graphic content. BEFORE: Katie Sue upon intake in 2012. Her exposed ribs, hip bones, and spine signal that she is massively underweight at a body score of 1. Her lowered head and dejected disposition are signs correlated with ongoing neglect. AFTER: Katie Sue post-rehabilitation. She has gained enough weight to bring her body score back up to a normal range. Her coat has some sheen to it and she is more alert and energetic in disposition. BEFORE: Pansy at intake in 2017. She is a body score of 1— severely under weight and badly neglected. Her winter coat is disguising the pervasive rain rot and fungal condition that would later cause her hair to fall off in patches. Before: Ruger at intake in 2017. He came in with Pansy, and both were underweight . Ruger also had suffered from traumatic damage to his eye, leaving him with a partial vision impairment. AFTER: Ruger in 2018. He has gained weight and been placed in a training program to build the muscles on his topline and learn how to be a good citizen.